In this article, I was supposed to write this topic when I first got on the internet and blogs. Although it was late it's ok, the most important thing is sharing with my friends. Actually, I don't understand much about SEO, I wrote this just based on experience and information that is already available on the internet. Beforehand, I did not understand at all what SEO is. I created a blog and never thought this blog would cause more actions so important that I would have to write and write. Eventually I realized that people could know the existence of my blog on the internet. That question was finally answered as well. What is SEO? SEO stands for Search Engine Optimization. Through SEO, we can improve the site's ranking on the Search Engine blog or Search Engines. In addition, the search engine is a machine to track the whereabouts of a blog site with keywords. 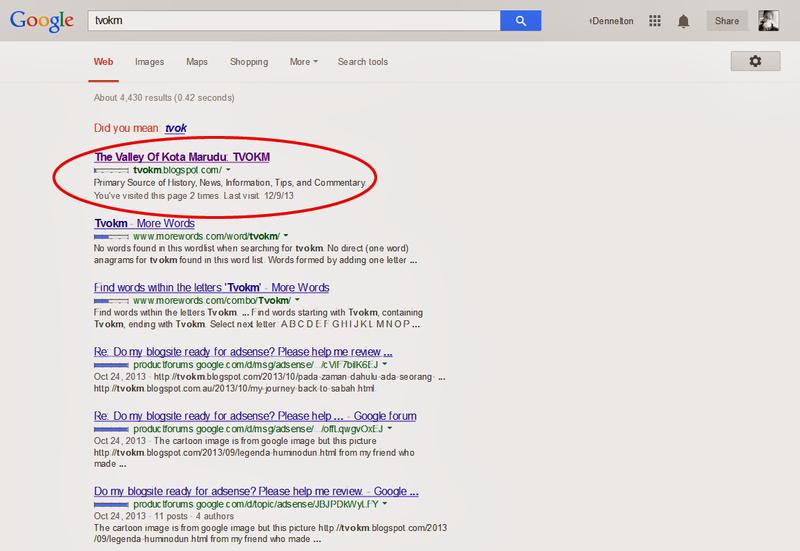 For example, you type keywords TVOKM in the search engine www.google.com, you can see the result in the image below. From the picture above, you can see this blog on page 1 sequence with the keywords, TVOKM. 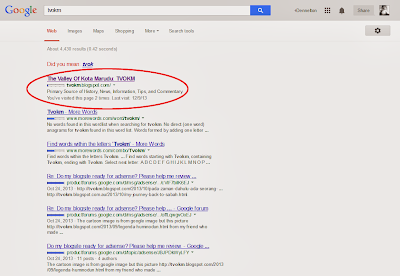 Let say, if there is other website that use keyword TVOKM, my blog will be displayed? Ah, not really. How do people know the existence of the blog site? There are many ways to know the existence of blog site on the internet. I tend to use the two most important and influential ways. Firstly, through search engines like Google, Yahoo, MSN, and other search engines. The second way is through the instructions or references obtained from other sites in the form of links - known as backlinks - that point to your site or blog. Do we need to Learn SEO? The problem now is how to get and keep your blog on the first page, or at least in the top five pages of search engine results such as Google or Yahoo via by a certain keyword. The above question can be answered with the necessity of learning SEO. However, should all the owners of blogs and websites on the internet have to learn SEO? In my opinion, SEO is more important for a blog site aimed at business or monetization. In other words, SEO needs to be studied by the owner of the blog site that is specialized in commercialization. With blogs, you can monetize them by having people read articles. If the blog site sells a product, of course, learning SEO is very important. Bloggers that create a blog just as a hobby and for the fun of writing it, then SEO is not very important. I think it's quite okay to just learn SEO alone. However, bloggers that have a business blog need to learn SEO more deeply. For any website or blog, SEO helps in ranking high position in the organic SERP and to improve brand visibility among the target customers. You also would need this method for your online business’s success. If you don’t have time for doing it yourself then hiring cost effective seo company would be best. We are really grateful for your blog post which contain lots of valuable stuff on seo. If you want to get any detail related to seo pricing plans usa, SEO Market is good option.